QMI’s Facebook page promotes its graphics department which “creates infographics for use throughout our chain” and boasts that “QMI Agency provides reliable, complete and up-to-the-minute news coverage over a full range of platforms.” And, indeed, many of the infographics shown on its Facebook page are very well designed, interesting, colorful and informative. Hmm… really? 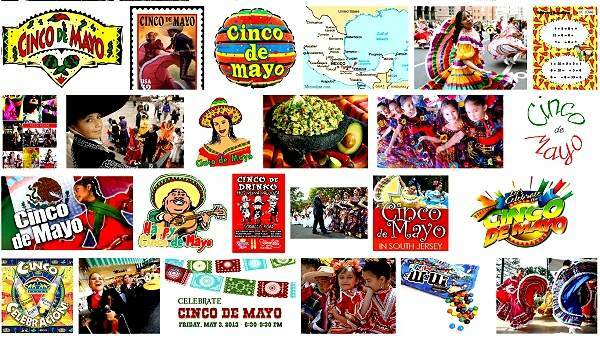 As we have noted many times on Geo-Mexico, Mexican cuisine varies regionally. Even so, if any reader knows where “oxtail soup with beans and hot chili, as well as roasted turkey and vegetables” is the typical menu for Christmas, please let us know, to add to our list of regional delights. As for presents being received on “Jan. 5, the eve of Twelfth Night”, err… no. The Mexican tradition of gifts on Three Kings Day involves Mexican children stuffing shoes (or a box) with straw, and leaving them outside their bedroom door on the night of 5 January, in anticipation of finding gifts (new toys) the following morning, the morning of 6 January, Three Kings Day. 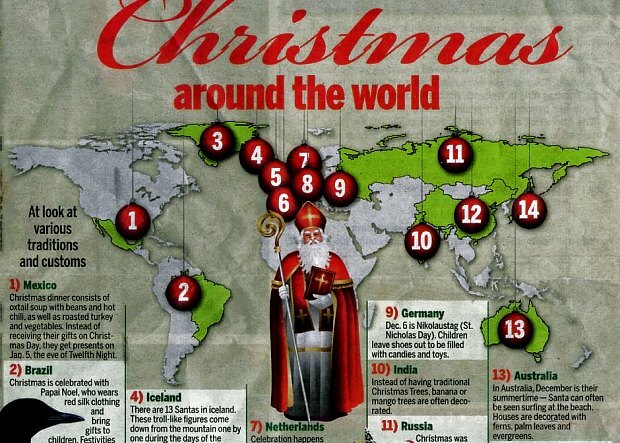 Unlike the USA and Canada, where gifts are usually exchanged on Christmas Day (25 December), the original tradition in Mexico over the Christmas season was to exchange presents on Three Kings Day (Día de los Reyes, 6 January). In the Christian calendar, 6 January marks the Feast of the Epiphany, the day when the magi arrived in Bethlehem with their gifts for the infant Jesus. In homage to this occasion, Mexican children would dutifully stuff the largest shoes (or box) they could find with straw, and leave them outside their bedroom door on the night of 5 January, in anticipation of finding new toys the following morning. 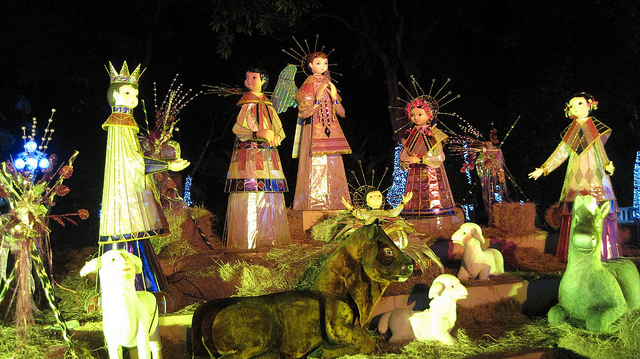 Three Kings Day is still very much a family day throughout Mexico. In the late afternoon or early evening, it is traditional for the whole family to share a rosca. Roscas are ring-shaped loaves of sweet bread, sold to be eaten on special occasions. The roscas for Three Kings Day each contain a small muñeco (doll). 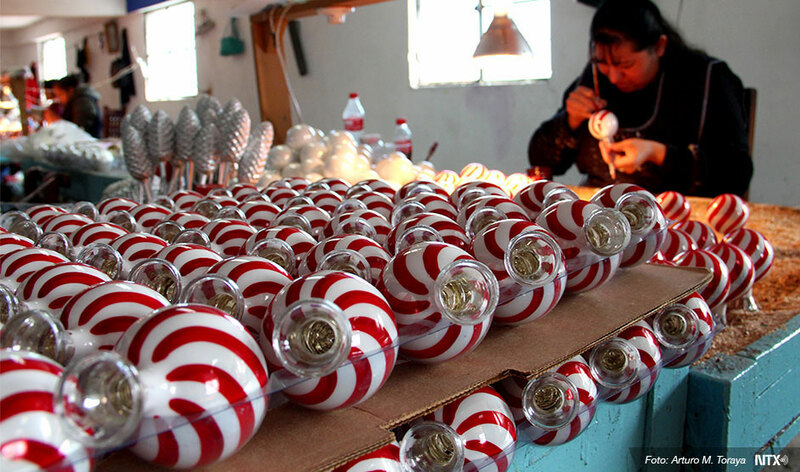 These muñecos were originally ceramic, but are now more usually plastic. 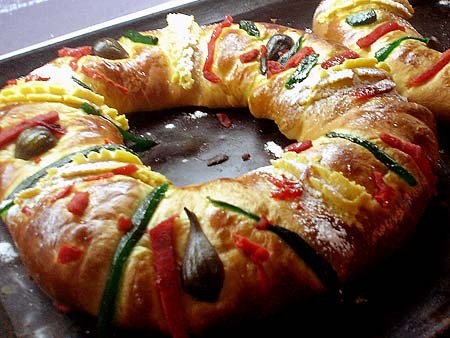 The recipient of the piece of rosca containing the muñeco has to throw a party on 2 February (Candlemas day, Día de la Candelaria) for all those present at the sharing of the rosca. It is customary to provide tamales to feed everyone gathering on Candlemas day. In the 20th century the Three Kings Day tradition in some regions of Mexico broke down in the face of the enormous consumer-oriented publicity from north of the border, which stressed Christmas (rather than Epiphany) gifts. Some especially greedy Mexican middle- and upper-class children claim that their parents and grandparents should not only preserve the old customs but also embrace the new version, and therefore hope to receive gifts on both days! Other Comments Off on Seasonal greetings from Geo-Mexico! Geo-Mexico wishes all its readers the warmest seasonal greetings. The photo shows Mexico’s only floating Christmas Tree. 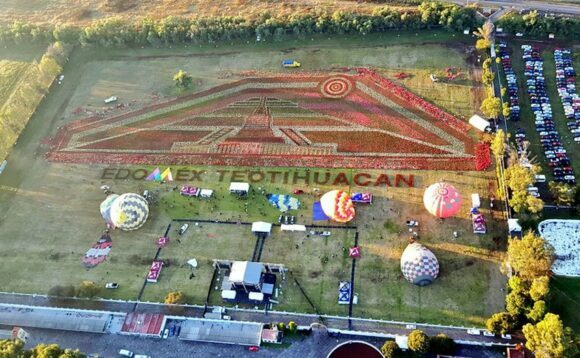 It can be seen near Tenago de las Flores in the municipality of Huachinango in the northern part of the state of Puebla. 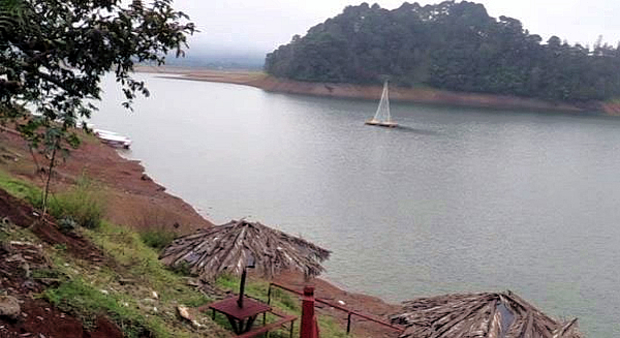 The 15-meter-high tree, with Christmas lights, stands on a wooden platform atop a raft of 32 metal drums in the middle of the Tenango reservoir, upstream from the Necaxa Dam, Mexico’s first hydroelectric project, dating back to 1905. 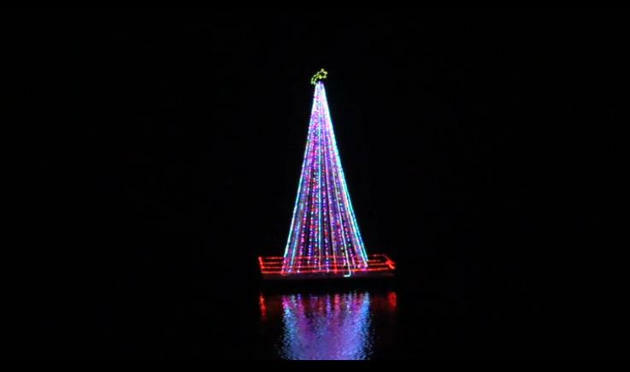 The tradition started only three years ago when local residents decided that a floating Christmas tree might prove to be a tourist attraction. The 10-min video below shows the “light up” of the tree early this month, complete with music and singing. Tenango de las Flores has been more famous in the past for its large-scale production of flowers (floriculture) and for its annual Flower Festival, as well as for featuring in an award-winning 1957 film called Tizoc: Amor Indio, starring María Félix and Pedro Infante. The film won the Golden Globe Award for Best Foreign Language Film at the 15th Golden Globe Awards (1958).